The FHA 203 (h) program helps victims obtain new mortgages to purchase or rebuild a Single-Family Property. Borrowers living in Presidentially–declared disaster areas, like Houston or Miami, may qualify for this program and can apply within one year of their disaster. The FHA 203(h) mortgage program helps people re-achieve their dream of home ownership. What is Section 203 (h)? The 203(h) program is a special program offered by FHA to make the recovery process from a major disaster easier. Qualified applicants can use FHA 203 (h) loans to finance the purchase of a new home in their current community or a new one, or to repair their damaged home. 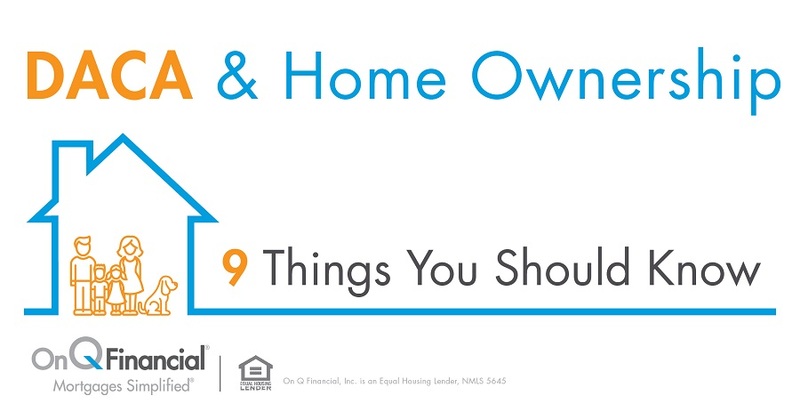 Like other FHA programs, a mortgage insurance premium (MIP), and County Loan Limits apply. What are the benefits of the FHA 203 (h) program? For those forced to start over, this program is designed to help make the process less stressful. No down payment is required for a home purchase —100% financing is available. FICO scores as low as 580 are eligible. Also, any missed, or late payments post-disaster may be disregarded, provided they were a result of the disaster and the applicant was not three or more months delinquent at the time of the disaster. Although 203(h) loans require the payment of mortgage insurance, the initial premium may be financed into the loan amount, and the monthly premium is paid along with your monthly mortgage payments. What do you need to know about the Section 203(h) program? The U.S. Department of Housing and Urban Development (HUD) has designed this program to serve the needs of low to moderate income buyers/borrowers. For this reason, HUD has established loan limits that vary by county. Current limits may be found on HUD’s website. 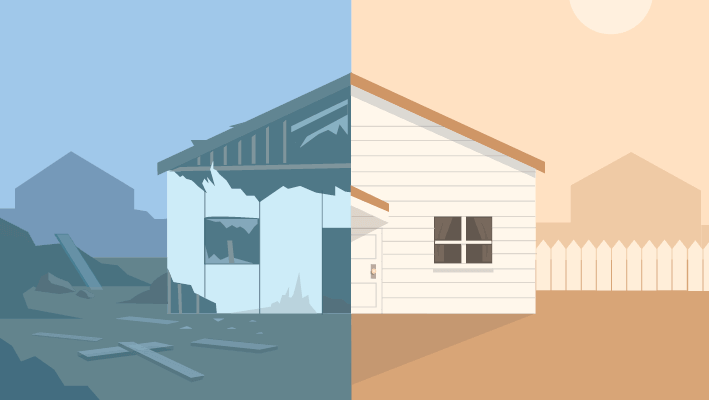 In order to meet the requirements of this program, you will be asked to provide documentation attesting to the damage incurred by your home from the disaster. Be sure to bring this with you to your loan application if possible. The 203(h) program enables lenders to exclude your current mortgage payment from qualifying ratios, even though you still own the home, provided you are working with your current loan servicer to address that debt, and any insurance proceeds are applied to the mortgage of the damaged home. Late Mortgage Payments? With the 203(h) program late mortgage payments on your current home, resulting from the disaster can be disregarded, provided you were not three or more months delinquent at the time of the disaster. Did your employment documents get destroyed during the disaster? There are other options for verifying your job and your income. The FHA will accept W-2s and tax returns from the Internal Revenue Service (IRS) to document previous income. Talk to your On Q Mortgage Consultant to get more details about the process. Submit your application for this disaster mortgage insurance to your mortgage lender within one year of the President’s declaration of the disaster. Your lender will help the application get processed through the proper channels. Contact an On Q Financial Mortgage Consultant so we can help you; again, achieve your dream of home ownership. Borrower still may be required to pay taxes, insurance, and pre-paids at closing. Eligible borrowers for the 203(h) program must reside in a presidentially designated disaster area and their home must be substantially damaged or destroyed. Must be a purchase transaction to qualify for 100% financing. The programs are subject to change without notice. Underwriting terms and conditions would apply to qualified borrowers. Some restrictions may apply.